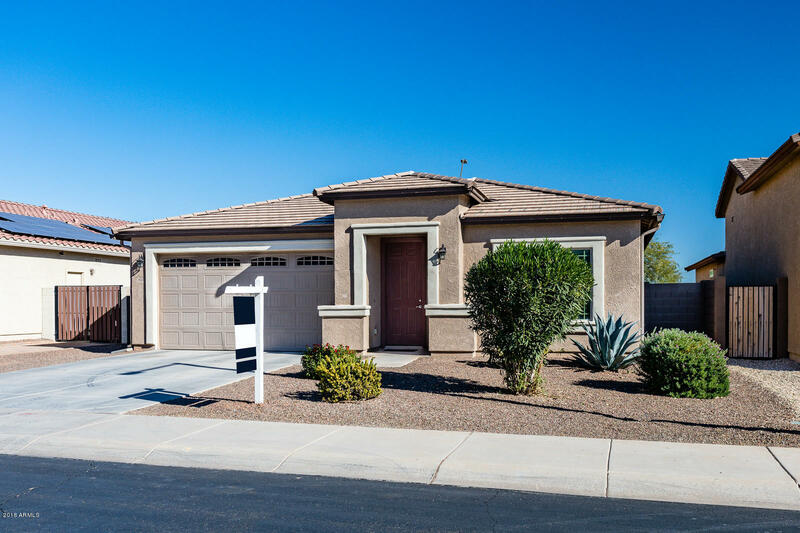 All RANCHO CABRILLO PARCEL F homes currently listed for sale in Peoria as of 04/19/2019 are shown below. You can change the search criteria at any time by pressing the 'Change Search' button below. "REDUCED $10,000!! WHY WAIT TO BUILD? This is the only home available in Rancho Cabrillo, with attached RV Garage! Better than new; custom window Shades/ Plantation Shutters throughout, & professional landscaping, already done for you! Plus 7 Year Builder transferable Warranty! Enter into formal living room (currently used as office) then to enormous Great Room with soaring ceilings; Mezzanine walk way above with stunning mountain views, overlooking it all: Gourmet kitchen has upgraded cabinetry"
"Welcome to this stunning two story home with 3 car garage, 5 bedrooms (one down), 3 bathrooms (one full down), living/dining room, large loft, family room that opens up to a beautiful kitchen with gorgeous white cabinets, granite, stainless steel appliances, and extensive subway tiled back-splash, wood plank tile flooring throughout, warm gray interior paint. Backyard is easy maintenance landscaping. 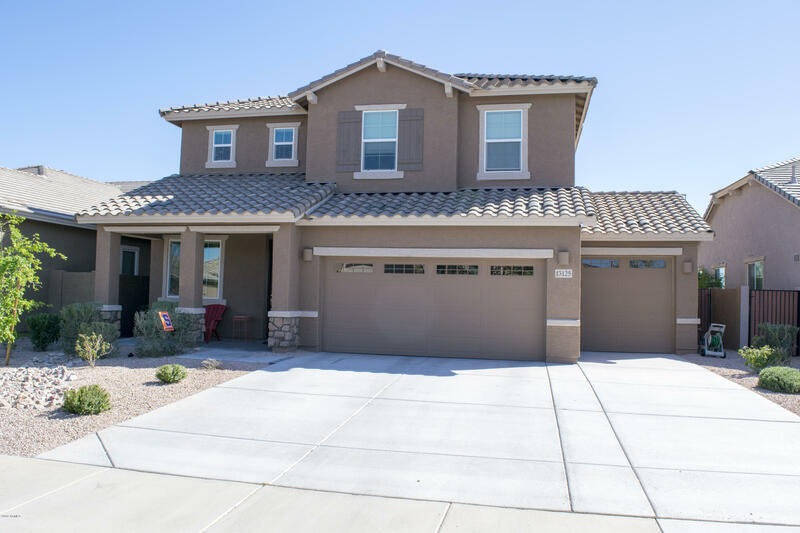 New park to built within walking distance from the home, making this even more the Perfect Famil"
"Awesome Lennar home in beautiful Rancho Cabrillo in Peoria, AZ with pool and solar. 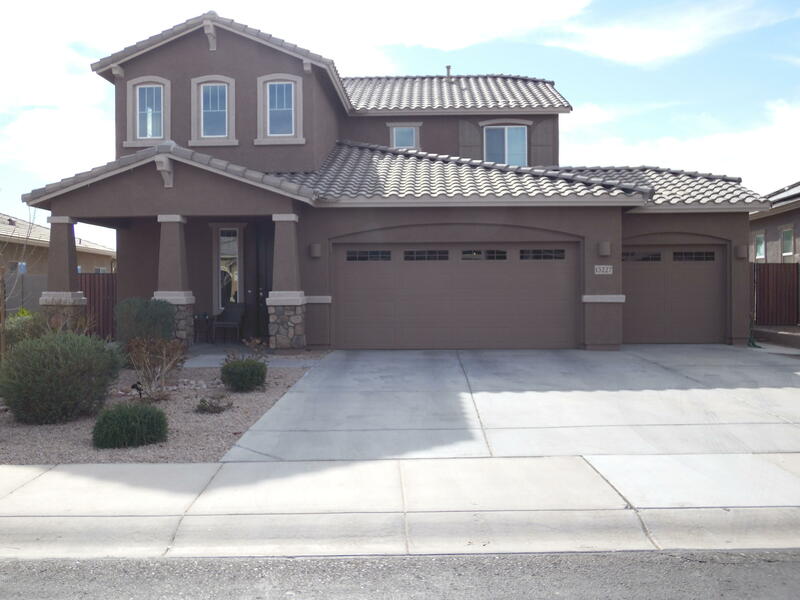 Main home has 3 bedrooms, loft, 2.5 baths and lots of extra closet space. Gas stove, pantry, breakfast bar and plenty of cabinets in open and bright kitchen. Large walk in closet in Master bedroom. Beautiful fenced pool with extra paver walkways and patios. 2 gas line hookups available in both yards ready for your outdoor BBQ area addition. Multi Generation or Next Gen is single level, has its own bedroom, bath,"
"MOTIVATED SELLER BRING ALL OFFERS!! Beautiful Home Original Owner* 3 BR, 2.5 BA, Plus Den & 3 Car Tandem Garage* Elegant Kitchen w/42'' Maple Cabinets, Large Kitchen Island & Stack Stone Walk-In Pantry w/Design Pantry Door* Huge Great Room w/Amazing Views of the Backyard & Spa* Formal Dining Rm. w/Stack Stone Custom Wall* Split Master Suite* Master Bath has Shower, Double Sinks & Two Walk-In Closet* 3rd BR. 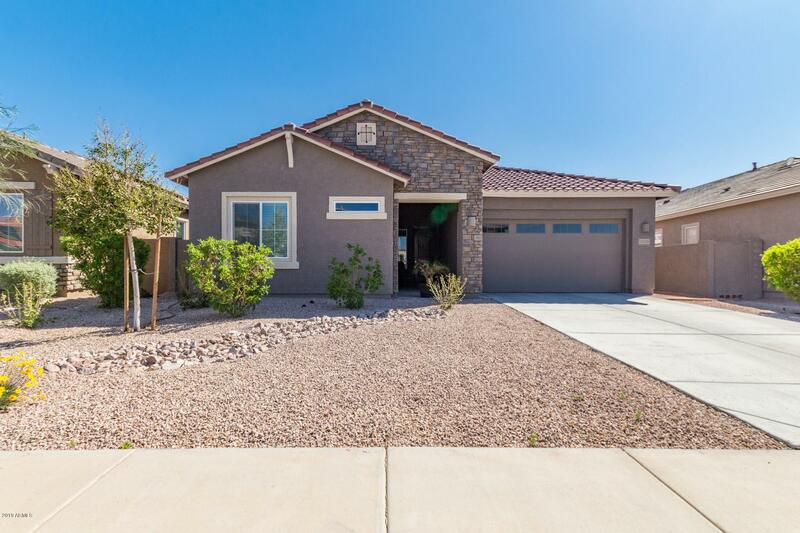 is Huge could be 2nd Master Suite or add wall & Closet to make a 4th BR,* 2nd Bath Double"
"Are you looking for a well maintained move in ready home in Rancho Cabrillo with a private yard with no neighbors backing your property ... well this is it! 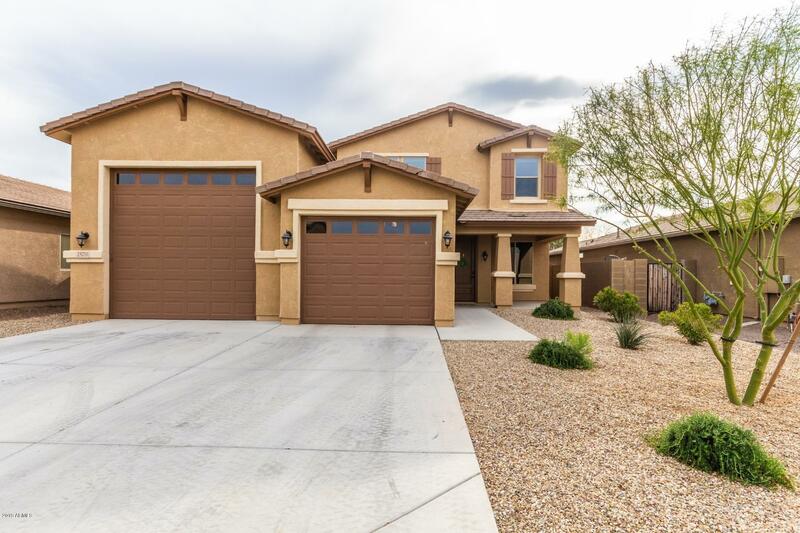 This spacious 2,000+ square foot home complete with a split floorplan including: 3 beds and 2 spacious great room, den, dining area, family room, and upgraded kitchen with cherry wood cabinets with 42'' uppers, granite countertops, breakfast bar and even an eat in kitchen area. The home features built in speakers inside and on the covered pa"